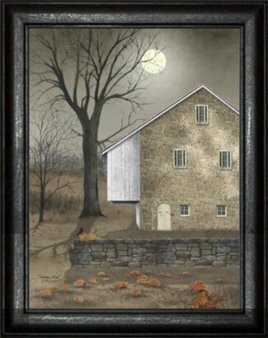 Bonnie Fisher's Stoney Point Mill Framed Print comes in size 16 x 12. It has a lightly distressed frame, black with stained edges, no glass. This item ships from our supplier in 2 to 3 weeks in the continental United States.